A free Giving Seminar hosted by Ronald McDonald House Charities of Spokane is an educational event open to all who are interested in learning about how to align your financial, estate planning and charitable goals in a way that honors your values and makes the most out of your social capital. 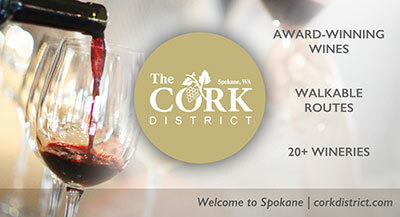 This seminar will be held on Tuesday, April 26 from 4 to 6pm at the Spokane Club Library, 1002 W Riverside Ave. Drinks and appetizers will be served. This event is hosted by Ronald McDonald House Charities of Spokane, and is open to all members of the community and there will be no solicitation. Panelists are Rob Blume, Senior Vice President, Managing Director of Wealth Management and Advisory Services at Washington Trust Bank; Seanna Bodholt, Attorney at Randall/Danskin; Taylor Hall, CPA at Kavadias Hall PLLC; Todd Koyama, Associate Wealth Advisor at Fulcrum Financial Group. Moderator is Trish McFarland, Non-Profit Facilitator. RSVP by April 19 to Sue Livingston at slivingston@rmhcspokane.org or 509-951-7717. Do you want to buy a new or used bike or have a bike to donate or sell? The Spokane Bike Swap is this Saturday, April 9, from 9am to 5pm at the Spokane County Fair & Expo Center. Bike Consignment check-in is Friday, April 8 from 3 to 8pm. This is a one stop shop to sell, upgrade and buy new or used bicycles and accessories. From kids bikes and road bikes to tandems and tri-bikes, great deals await and over 900 used bikes are expected in the Bike Corral. As you can see in the photo, I got my bike at the Bike Swap, and I can highly recommend it. 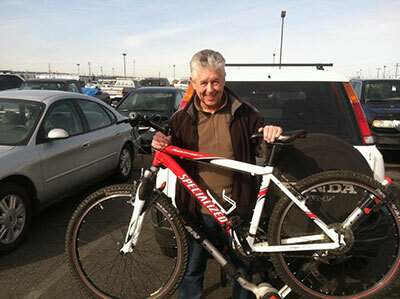 If you are interested in selling a bike, register the bike at www.SpokaneBikeSwap.com. Registering early will help expedite bike check-in on Friday. Bike registration is $5 and payable when you check in your bike on Friday and will be waived if you donate a bike. Kids' bikes are needed too. Registration fee will be waived on kid's bikes with 20-inch rims or smaller and priced $50 or less. For all bikes that sell, an 8% consignment fee will be assessed. The goal of the Spokane Bike Swap event is to enhance the biking community by providing an inclusive venue with affordable bicycles that can be used for recreation, health, fitness and transportation. Proceeds from the event will be used to further the efforts of the Friends of the Centennial Trail, a non-profit organization. Admission for the Spokane Bike Swap is $5, children 12 and under, free. Visit the website for more information. YWCA of Spokane has announced that Ashley Judd, actress, author, and social advocate, will be the keynote speaker at the 2016 Woman of Achievement IMPACT Luncheon on Friday, October 7 at the Davenport Grand Hotel. YWCA of Spokane has celebrated high achieving women in the community at this annual luncheon. Established with the goal of increasing community awareness and appreciation for the diverse contributions of women leaders in Spokane, this luncheon has honored more than 200 women in the region. For more information, visit www.ywcaspokane.org. Tomorrow, world-renowned speaker, author and business guru Brad Sugars will continue his Billionaire Tour in North America, sharing his insights and proven techniques to build wealth at a special event at the Davenport Grand Hotel. Networking is from 4:30 to 6pm and the program runs from 6 to 9pm. Motivated to share his knowledge with others, Sugars has written 15 highly acclaimed business books, and frequently delivers seminars to audiences around the world. His 2009 'Business Is Booming' seminar tour visited 87 cities in 16 countries. The free seminar will teach the key skills to buying, running and making super profits from one's own business, regardless of the prevailing economy, complete with practical how-to's that business owners can start on immediately. Tickets are available at no charge. For more information about The Billionaire Tour, and for your free tickets, contact Ted Schmidt/Stella Fox at spokane@actioncoach.com. Advertising Agency Magner Sanborn is now Chapter & Verse. Visit their website at www.chapterandver.se. Baker Construction & Development Inc., of Spokane, is the contractor for a new $1 million retail center at 9405 N. Newport Highway that's expected to be completed in September. Mod Pizza, a Wells Fargo Bank branch and Aspen Dental will be located in the 10,000 square-foot structure. The West Plains Chamber of Commerce honors businesses, organizations and individuals this Friday night, April 8 at Northern Quest, as they celebrate their Best of the West Awards Gala. Here are the finalists for the awards. The Inland Northwest Society of Human Resources Management has announced its 2016 board of directors. They include president Julie Orchard, Skils'kin; president elect Kristina Valenzuela, Next IT Corp.; programs co-director Krystal Siegfried, MacKay Manufacturing Inc.; programs co-director Lindsey Wane, Providence Health & Services; programs co-director Laurie Whitcomb, Hospice of North Idaho; communications director Syma Bajwa, Goodwill Industries of the Inland Northwest; diversity director Corinda Behler-Howe, Embassy Management LLC; certification director Melody Matthews, Community Colleges of Spokane; foundation director Andrea LaPlant, etailz Inc.; workforce readiness director Jeff Smith, Skils'kin; technology director April O'Hair, Wagstaff Inc.; treasurer Shannon Drews, Next IT Corp.; legislative director Tonya Sherman, Sonderen Packaging; membership co-director Melissa Kuntzmann, Cardon Outreach; membership co-director Melissa Koontz, HUB International Ltd.; secretary Heidi Spunich, Berg Cos.; marketing and social media director Valerie Hartfield, Mercer Health & Benefits LLC; special events director Ashleigh Mathews, VPI Quality Windows Inc.; and college relations director Stefanie Sell, Inland Northwest Blood Center. The popular ZeroLandfill event comes to Spokane for the first time ever, presented by International Interior Design Association (IIDA) Inland Northwest City Center. The event will be held at the WSL Warehouse, 3200 E. Trent, Building 3, Suite F from 9am to 2pm on Saturday, April 23. ZeroLandfill Spokane is the newest addition to an upcycling program held annually that supports the supply needs of local artists and educators while reducing waste. ZeroLandfill events allow interior designers and architects to donate expired specification samples that can be upcycled. Artists, educators and crafters take the samples and repurpose the materials for use in their classroom and studio. Items include sample sizes of glass, tile, wood, carpet, laminate, fabric samples and much more. At the event, attendees might find fabric, carpet, wallcovering, wood, tile, stone, glass, rubber, vinyl, laminate, and much more to complete your next project. Be green and bring your own bags for collecting items. Entry to the event and all materials are free. Pre-register for the event at Eventbrite zerolandfillspokane2016.eventbrite.com to gain exclusive access to materials 30 minutes before the rest of the public are admitted. Art Salvage, Spokane's nonprofit creative reuse organization, will also be at the event, offering free kids activities and creative inspiration for art and home projects that can be completed with materials collected at ZeroLandfill. Follow ZeroLandfill Spokane on Facebook for more information and maps to the location and creative inspiration. Facebook.com/zerolandfillspokane For more information contact: iidanpc.zerolandfillspokane@gmail.com. A Speedco trucking industry service facility along Interstate 90 on the West Plains, is under construction with a planned summer completion. The facility, which is part of the national Speedco chain will be located along I-90 at Exit 272. They offer tire services, quick lube and other maintenance work for commercial trucks in both small and large fleets. The 13,500-square-foot facility will create more than a dozen jobs. Baker Construction & Development of Spokane, is the general contractor. The Renovation Expo, presented by the Spokane Home Builders Association, will be April 8, 9 and 10, at the Spokane County Fair & Expo Center featuring over 200 exhibits to help you reimagine, redesign and remodel your home, inside and out. The Renovation Expo features the latest in home remodeling and improvement including landscaping, flooring, decks and patios, kitchens and baths, pools and spas, sunrooms, windows and doors, and so much more. 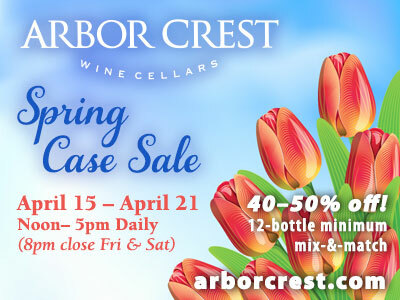 Show hours: Friday Noon to 7pm; Saturday 10am to 7pm; and Sunday 10am to 5pm. This year, seminars will be presented by local industry experts on a variety of topics including: Kitchen & Bath Trends, Why hire a Contractor?, Beyond Backyard BBQs, Innovative Outdoor Flooring, Sun Screens & Awnings, Best Countertops for your Home, The World of Wireless Audio, and more. Visit www.RenovationExpo.net for a full seminar schedule. Admission is $8 and children 12 and under are free. Friday is two for one admission, all day, compliments of Dishman Dodge Ram Chrysler Jeep. Saturday and Sunday, receive $2 off admission with the donation of two non-perishable food items to benefit 2nd Harvest Food Bank. Do you know someone who's passionate about making a difference in young people's lives? If you answered yes, nominate them for a Champion of Youth award. 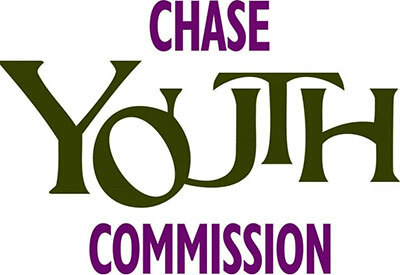 Winners will be recognized at the Chase Youth Commission's annual Breakfast of Champions on Friday, May 13. Each year, the Commission honors adults, local groups, and businesses who deserve recognition for their commitment to providing opportunities for area youth to grow and become empowered community leaders. Nominate someone today by visiting www.chaseyouthspokane.org/programs/breakfast-of-champions. Nominations are due by Friday, April 15. Hospice of Spokane announces that Aaron Misiuk, ARNP has joined the team as a Primary Care ARNP focused on providing primary outpatient care for patients through Mobile Medicine of Spokane. A service of Hospice of Spokane, Mobile Medicine brings primary healthcare to patients in senior living communities who are no longer able to easily get to a clinic or provider's office. Misiuk has worked as a nurse practitioner since 2004, serving patients in a variety of inpatient and outpatient settings. He holds a Master of Science in Nursing degree from Seattle Pacific University.